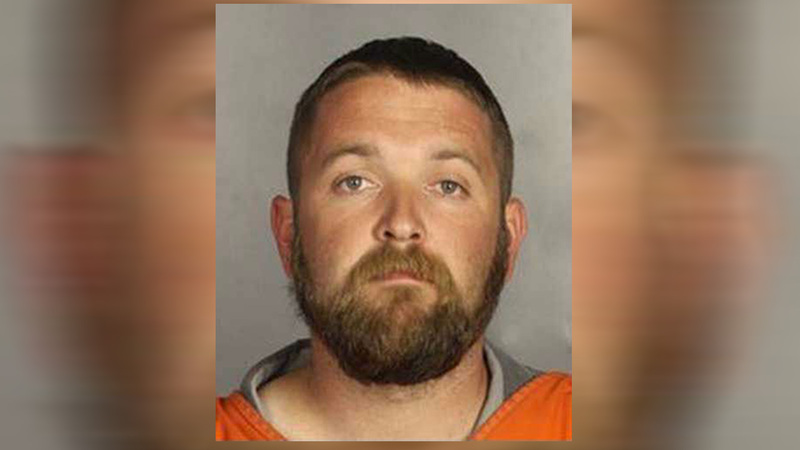 FORT WORTH, TX -- The only biker to sue in connection with a mass arrest following a deadly shootout at a Texas restaurant argued in a petition filed Wednesday that he was unfairly slapped with a gag order after publicly criticizing how the investigation has been handled. Matthew Clendennen, one of 177 people arrested after the May 17 shootout in Waco in which nine people were killed, said the order in the state's criminal case against him is unconstitutional and outside the court's jurisdiction because he has not been indicted. The order prevents attorneys, witnesses and law enforcement officers involved in the criminal case from discussing it with the media. The 177 people were arrested on a criminal complaint of engaging in organized crime and held on $1 million bonds after the incident that authorities say stemmed from an apparent confrontation between two motorcycle clubs. All but six have bonded out of jail, most on reduced bonds. McLennan County District Attorney Abel Reyna, among those named in Clendennen's federal civil rights suit, requested the gag order Tuesday during a hearing in Clendennen's criminal case. District court judge Matt Johnson, Reyna's former law partner, granted the order, saying he was acting to prevent pretrial publicity from influencing potential jurors. Johnson and Reyna's onetime partnership extends back until at least 2001, when Johnson joined the Reyna & Reyna law firm, which was owned by Reyna's father, former McLennan County district attorney and state appeals court judge Felipe Reyna. Johnson and Abel Reyna stayed in practice together when the firm later became Reyna, Johnson & Reed, said former partner Damon Reed, who still practices in Waco. Johnson left the firm when he was first elected to the bench in 2006. According to state campaign records, Reyna and Reed each donated $1,000 to Johnson's 2006 campaign, the maximum each was allowed to contribute under state law governing judicial campaigns. Neither Johnson nor Reyna was available for comment. Clendennen's attorney, Clint Broden, declined to comment on Reyna and Johnson's prior partnership. He said it is unclear whether the gag order applies to the civil suit, which was filed May 29 and amended June 3 adding Reyna as a defendant. The suit also names as defendants the city of Waco, McLennan County and Waco police officer Manuel Chavez, who drafted the warrant for Clendennen's arrest. Clendennen is seeking a trial by jury, damages and the cost of suit. "Whether real or perceived, there is a noxious odor surrounding the investigation by the Waco Police and the McLennan County District Attorney's Office," Broden said in Wednesday's petition. Johnson extended Tuesday the term of the current grand jury to consider the biker case; it had been set to expire in a week. That grand jury was empaneled under a system critics call "pick-a-pal." Clendennen argued in a separate filing Wednesday that using the "pick-a-pal" system rather than a randomly selected grand jury is also unconstitutional. The Texas Legislature in May approved eliminating the controversial system under which judge-appointed commissioners nominate prospective jurors, rather than picking randomly selected residents. The new law takes effect Sept. 1. The shooting began after an apparent confrontation between the Bandidos, the predominant motorcycle club in Texas, and the Cossacks, according to investigators. Hundreds of weapons -including 151 firearms - were recovered. Witnesses told The Associated Press that they heard automatic weapons during the shooting. But Waco Police Chief Brent Stroman said earlier this month that city officers had disabled the automatic setting on their rifles, and that most of the dozens of shell casings found at the scene were from suspects' guns. It remains unclear whose bullets struck the nine who died; the results of autopsies and ballistic analyses have not been made public.